I have a Sony Vaio CW Series laptop, and it supports a high resolution of 1600 x 900 pixels in a small 14 inch screen. The pros of this resolution is to have more screen space for editors or IDEs such as Eclipse. The bad part is you have to strain too much to read whatever is on the screen which is bad for your eyes. 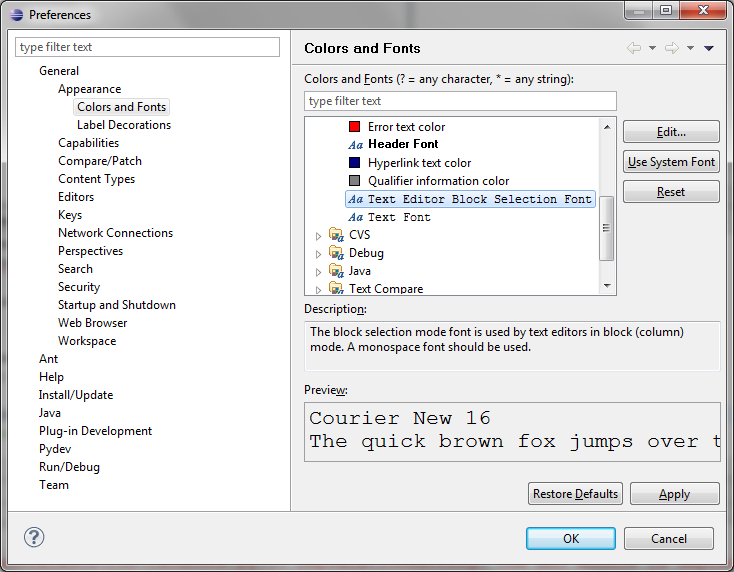 So in-order to ease your strain, increase the font size on Eclipse editors. 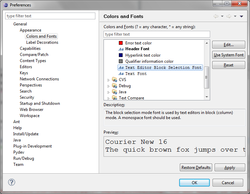 On the right panel Select Editor Font and click the Edit Button. Now that should ease up your eye strain :) . thanks, I actually wanted the opposite, a smaller font. That did the trick! Thank you!! !